Skype for Business is a free to use Unified Communications (UC) platform that integrates common channels of communication for University staff and students. 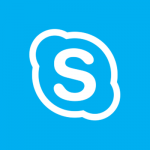 It is important not to confuse this with the free to use Skype, however you are able to connect to external users who have a personal Skype account. For more information on how to do this please look at our FAQ pages. Formally known as Lync, if your PC or Mac still shows only having Lync and not Skype for Business please contact ServiceLine and ask that they upgrade your system.